Combining visual shape-capturing and vision-based object manipulation without intermediate manual interaction steps is important for autonomic robotic systems. In this work we introduce the concept of such a vision system closing the chain of shape-capturing, detecting and tracking. Therefore, we combine a laser range sensor for the first two steps and a monocular camera for the tracking step. Convex shaped objects in everyday cluttered and occluded scenes can automatically be re-detected and tracked, which is suitable for automated visual servoing or robotic grasping tasks. The separation of shape and appearance information allows different environmental and illumination conditions for shape-capturing and tracking. 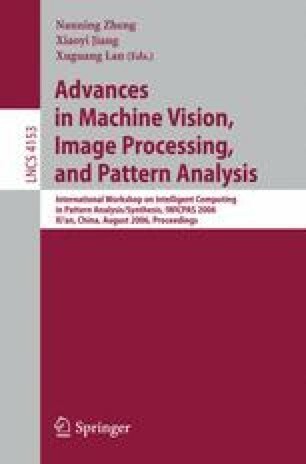 The paper describes the framework and its components of visual shape-capturing, fast 3D object detection and robust tracking. Experiments show the feasibility of the concept. This work is supported by the European project MOVEMENT (IST-2003-511670) and by the Austrian Science Foundation grants S9101-N04 and S9103-N04.